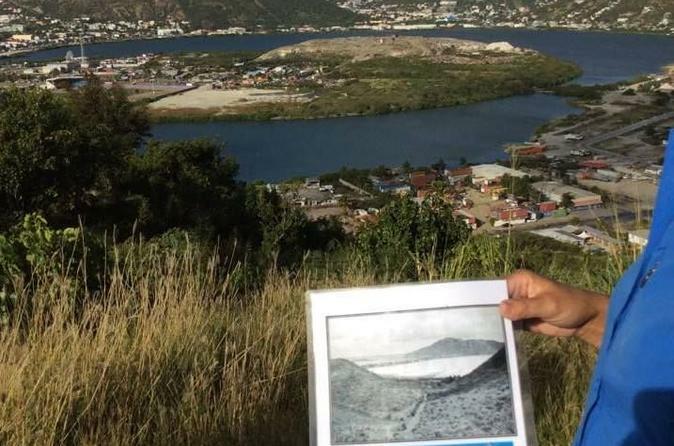 Get to know the twin Dutch and French spirits of the island of St Maarten/St Martin during this 4-hour history tour from Philipsburg. Circumnavigate the island while learning about the natural history, geology, culture and traditions of this unusual place through your guide's engaging commentary. Stop by important landmarks and highlights that help paint the total picture of the island's past. Round-trip transportation from the cruise port is included. Knowledgeable and personable guide. Nice overview of the history of the island. Vehicle was a bit cramped. The tour was fantastic. Our guide , David Botha, was so knowledgeable and very pleasant. He even brought us a snack that was home made. He was seagrape tours through Viator Tours. It could not have been better. We highly recommended it. Very informative, relaxed tour. Highly recommended! Great tour! One of a kind in St. Maarten. The tour was very well done, very informative, and Iliya was very knowledgeable. All passengers were picked up at their respective locations, yet no time was lost or wasted. 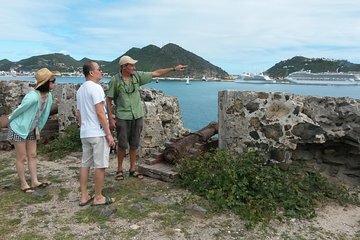 Not only was this tour a good historical overview of St Maarten/St Martin, it was also a good orientation of the island. For those individuals spending several days on the island, recommend taking this tour as soon as possible after your arrival. It will help tremendously. excellent tour guide, small group in minivan. Nice touch of snack in park during tour. See whole island and enjoyed the history. got a good idea of what the island looked like as a whole. good to know the history of it as well. recommend for 1st timers. We had a great experience on our tour. We were picked up on time, and our guide provided a lot of interesting information about the history of the island. We never felt rushed and she allowed us to take as many photos as we wanted. She also provided a snack and regularly offered us water if we needed it. One regret is that we did not get to take a photo of the statues depicting the salt trade that were in the center of town. I am thinking it may have been because the statues are in the middle of a traffic circle which would make it tricky to stop and take a photo. We would definitely recommend this tour. It may be best to plan it for the beginning of the week because there were less cruise boats so that our stops were not as crowded.